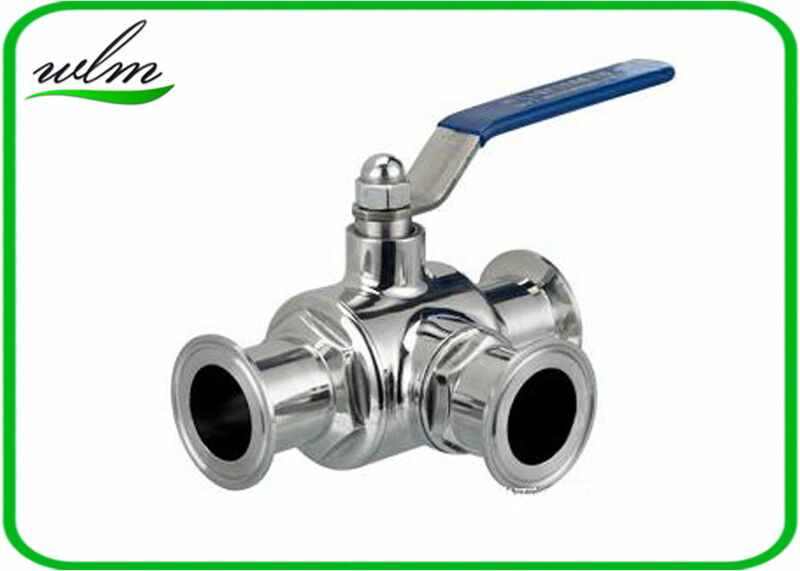 We produce both T-type and L-type sanitary three way ball valves. The T-type sanitary valve can connect three pipes in order to converge or divide fluid flows. The L-type valve can only connect two pipes in a pipeline for flow direction change purposes. 1. Our three way ball valve is full port ball valve. The bore diameter is the same as the flow diameter. It has stronger flow capacity. For example, a DN50 full bore valve has a flow diameter of 50mm, while a common ball valve of the same spec only has actual flow diameter of 38mm. 2. The spherical core cavity of our full port three way ball valve adopts fully sealing structure, in order to ensure no retention and no dead leg. It is especially suitable for viscous fluid and the fluid with solid particles. This sanitary three way ball valve can help control fluids flow like beer, dairy, beverage, wine, water, cosmetics, pharmacy, or chemical on their production lines. We have a full range of three way ball valves as well as the capability to produce custom ball valves.